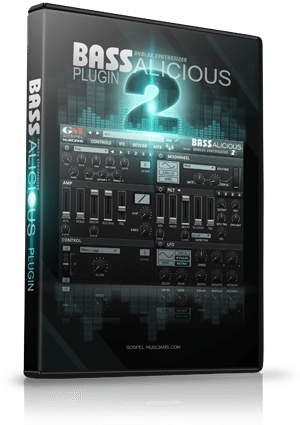 “BASSalicious & Pure Synth Platinum 2” brings together two incredible sounding, highly playable and above all inspirational libraries that have been designed with one aim in mind… to fire up your musical creativity! With a huge range of sounds at your fingertips, from pianos and strings to choirs and basses of every kind, this bundle is perfect for Funk, Jazz, RnB, Soul, Gospel music and much more! 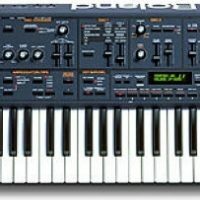 Two Incredible Synth/Rompler and Synth Bass Libraries! 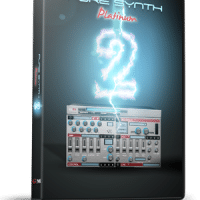 The “BASSalicious & Pure Synth Platinum 2” – two inspiring libraries bringing you both a full blown Synth/Rompler complete with an incredible collection of onboard sounds (and complete modulation system to boot! ), and what is probably the best Synth Bass plugin ever created. Both of these libraries have been designed by Gospel Musicians to be intuitive, playable and above all inspirational. They are also a bargain at a fraction of the normal price! Gospel Musicians spent the last year building their own complete synth and sampler infrastructure from the ground up. 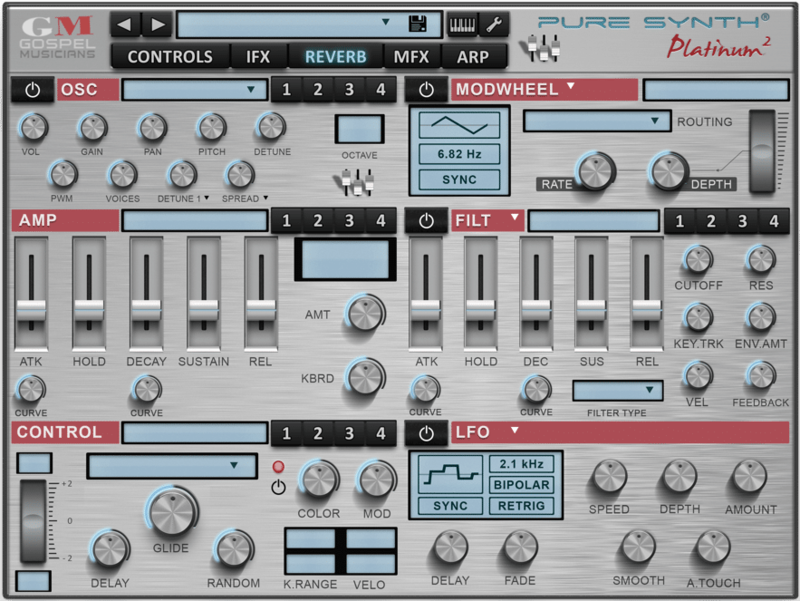 All of the things you asked for in the first version of Pure Synth Platinum are now available in this version. 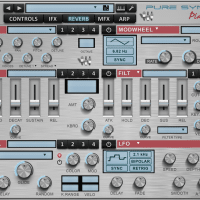 Think of Pure Synth as your software version of your hardware rompler. It’s not an EDM machine. It is a full blown rompler with electronic AND acoustic instruments. The detail that has been spent on the warmth, quality, presets, functions, and usability is amazing. This is the synth you have always dreamed of and the sounds are absolutely incredible. A complete urban synth architecture and framework featuring the best of the modern urban sound. It’s a full synthesizer and a full blown rompler in one synth. Add on a complete modulation system and new effects and you’ll have everything you need in one synth. 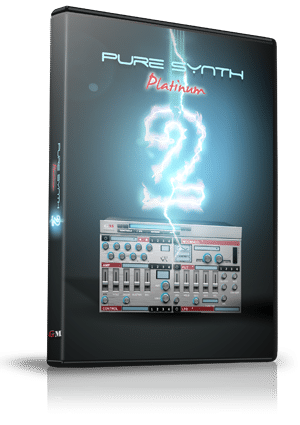 “Pure Synth Platinum 2” comes with some of the most amazing effects on the market. Gospel Musicians licensed the VKFX from Overloud™ and included them in Pure Synth. They also added an amazing Rotary, Dimension D Chorus emulation, and a very detailed Stereo Spread algorithm. ​They’ve also added the ability to move racks to change the position and sound in the effects chain. Changing the order of effects can drastically change your sound and it is just as easy as dragging a rack. Right+Click on any modulator source, including all effects racks, and choose between an Envelope, LFO, or Mod-wheel assignment. This allows you to create very expressive, articulate, and moving sounds that will play wonderful tricks with your ear. You can see a visual representation of the actual knob being modulated and how it reacts to the modulation source. Multiple Oscillator Edit – Edit multiple oscillators at one time to save time on editing. Simply CTRL+Click and select oscillators. A completely overhauled easy to use modulation system. 20 Brand new state of the art digital effects. 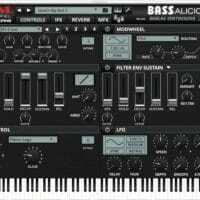 “BASSalicious 2” is a dedicated synth bass plugin with a single focus on sound. All of the synthesis and filters are custom tweaked with Gospel Musicians’ own personality and urban ear. When Gospel Musicians first set out to produce the original BASSalicious, it came from a need they had. 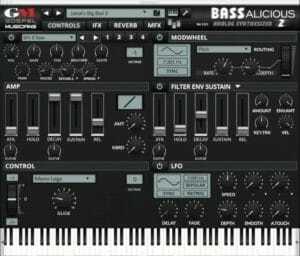 They noticed that there were a ton of synth bass libraries out there that focused solely on dubstep and wobble bass sounds, but not that much out there for the urban community and that pure synth bass classic sound. With version 2 Gospel Musicians have created what is probably the ultimate Synth Bass Plugin. They’ve deployed not only analog waveforms and wavetables, they’ve also included high quality streaming samples that you can mix and match. 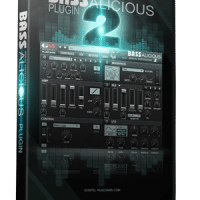 Also included are many high quality multi-mode filters, feedback, 22 digital effects, and an extensive modulation system to make BASSalicious 2.0 the end all and be all of synth bass plugins! Gospel Musicians wanted to make sure that the sound was up to date and represented the newest technology in sound. Yes, it can get dirty and grungy, but you will still hear a “modern” sound. Think of BASSalicious 2 as having a contemporary sound with an old school feel! So What Exactly Can I Do With “BASSalicious & Pure Synth Platinum 2”? Normally €291 – get it at 73% off before it’s gone! 73% off the normal price (normally €291)! Perfect for Funk, Jazz, RnB, Soul, Gospel music and much more!